Welcome to the website of the historian Bodie A. Ashton. From here, you can keep track of my latest publications and speaking engagements, see what I’ve been up to, and contact me regarding commissions, consultancies, and any other enquiries. Hello! I am Bodie Alexander Ashton, a historian in Lower Bavaria. I am a joint British and Australian citizen, having been raised and educated in Adelaide, South Australia. 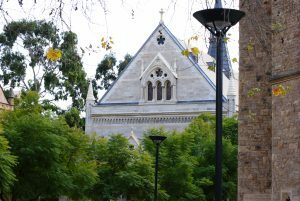 I attended Adelaide’s St. Peter’s College, before studying at the University of Adelaide, where I received my Bachelor of Arts (History/German) in 2007, a First-Class Honours degree in History in 2008, and my Ph.D. in History in 2014. With a range of experience as a researcher, author, lecturer, editor, and speaker, I am also available for historical consultancy and lectures. 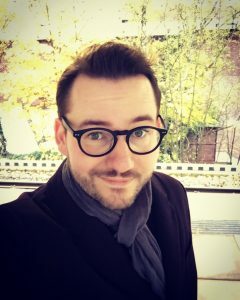 Having completed my undergraduate degree in 2007, I was accepted into the University of Adelaide Honours programme, in which I wrote my dissertation (‘Stalin’s Bitter Pill: Ideology, Diplomacy, and the Nazi-Soviet Pact’) under the supervision of the Russian historian Associate Professor Frederic S. Zuckerman. With this dissertation, I achieved First-Class Honours and, in the next year, I commenced my doctoral candidature, supervised by Professor Robin Prior and Dr. Gareth Pritchard. I was awarded my doctorate in 2014 with a dissertation entitled ‘The Kingdom of Württemberg and the Making of Germany, 1815-1871.’ This formed the basis of my first monograph. Beyond this, I have published articles in the Giornale di storia costituzionale and the Flinders Journal of History & Politics, as well as a number of reviews in The American Historical Review, European History Quarterly, German Studies Review, German History, and The German Quarterly. I have also contributed to contemporary discussion of the place of history in society, including a post on the University of Sheffield’s History Matters blog on the occasion of the fiftieth anniversary of the partial decriminalisation of homosexuality in Britain. I have wide-ranging expertise in historical fields. By training, I am a historian of Germany, ranging from the eighteenth to the twentieth century. I have experience in the analysis and interpretation of diplomatic, political, social, military, literary, cultural, and other media sources. In addition, my research interests extend to political ideology, imperialism and colonialism, and LGBTIQ+ history, with a geographical span of Western Europe (including Great Britain), as well as Russia. I have demonstrable experience researching in archives around the world. I am fluent in both spoken and written English and German. Between 2016 and 2018 I was employed as the professional academic editor on the European Research Council-funded project Reconsidering Constitutional Formation (ReConFort), based at the Universität Passau in Lower Bavaria. This project aims to provide a comprehensive reappraisal of the constitutional building blocks that make up European historical heritage and legal identity. I am also a historical consultant for The David Roche Foundation, in North Adelaide, Australia. The Foundation is a private cultural heritage gallery and museum that houses the most significant private collection of French, Russian, English, and German eighteenth- and nineteenth-century artworks in the Southern Hemisphere. Previously, I have worked as a historical consultant for the Sir John Monash Centre, an Australian war memorial and education centre in Villers-Bretonneux. I have also acted as a research assistant for a number of projects conducted by colleagues at the University of Adelaide. I have extensive experience teaching undergraduate students at a university level. 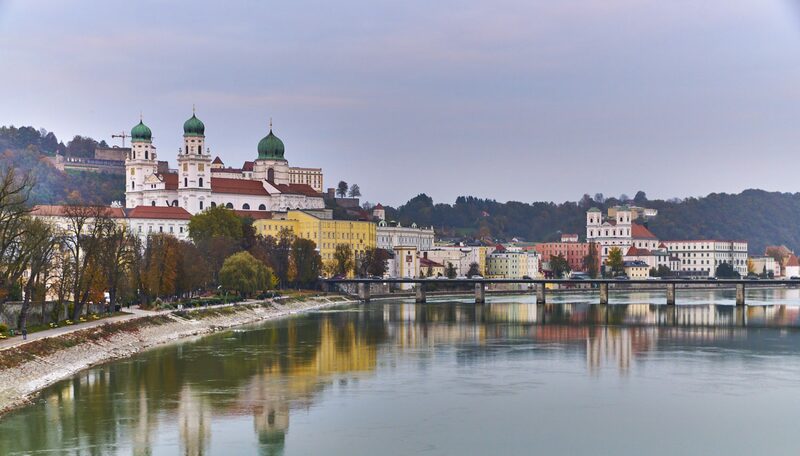 In 2018 I am teaching the English-language course ‘Comparative Constitutional Discourse in the Long Eighteenth Century’ as part of the Universität Passau’s Faculty of Law programme. In previous years, I have taught and/or assessed a wide range of courses at the University of Adelaide and Flinders University of South Australia, with both junior and senior students. I am a frequent and enthusiastic contributor to academic conferences, and I have given papers in Australia, New Zealand, England, Scotland, Germany, and Poland. Beyond my engagement in history, I am an avid reader, with my tastes ranging from Goethe and Schiller to modern science fiction (in particular the space opera of Iain M. Banks). 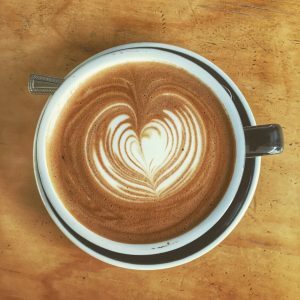 I have an enduring love of coffee, and my free time is often a combination of the two: sitting with a freshly-brewed espresso, reading. When I’m not doing this, I am a keen photographer and I enjoy travelling. Hi all! 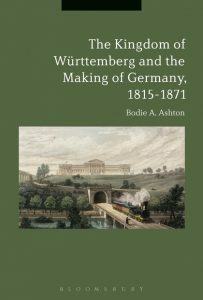 Just a little reminder that my book, The Kingdom of Württemberg and the Making of Germany, 1815-1871 (Bloomsbury) is now available in paperback! Check it out via Bloomsbury, Book Depository, Waterstones, Dymocks, Buchhandlung Wittwer, and wherever good books are sold. Alternatively, click one of the contact links below to get in touch!